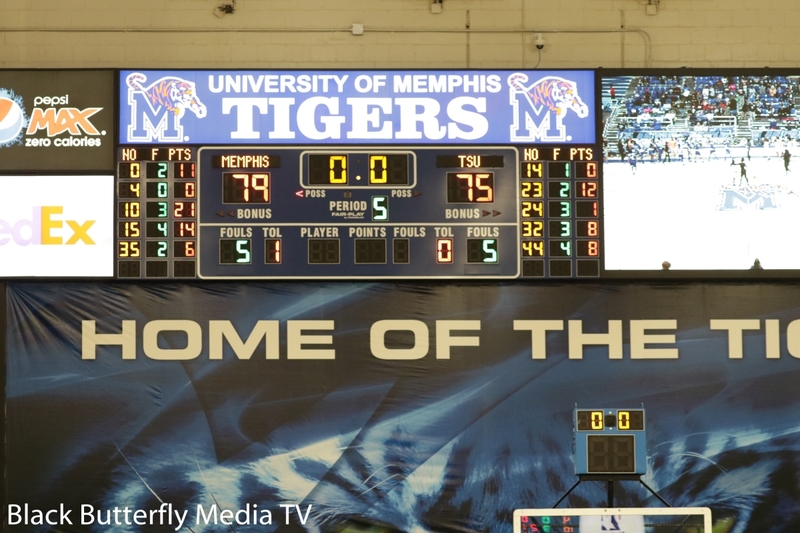 U of M Lady Tigers Win in OT Against the Tigers of TSU, 79-76. 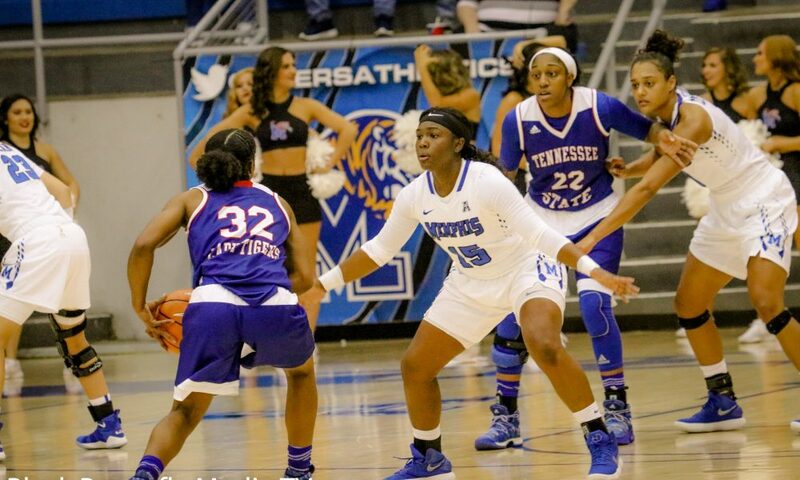 Pictured Above: TSU Guard, Maxine Beard(32) tries to fin off U of M Guard, Taylor Barnes(15) as TSU Forward, Tia Wooten(22) tries to create an opening while being guarded by U of M Forward, Cheyenne Creighton(10). 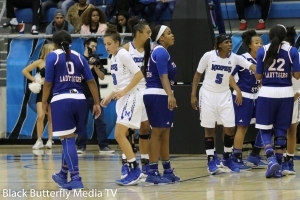 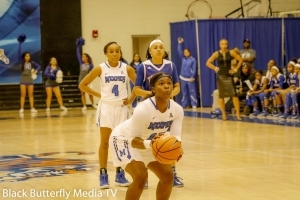 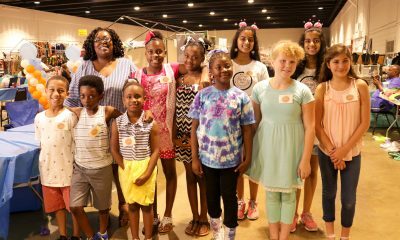 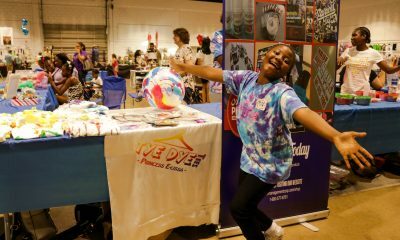 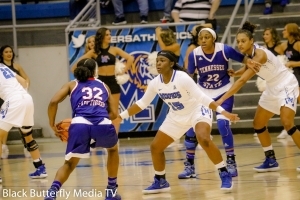 Friday night, the University of Memphis Lady Tigers took on the Lady Tigers of Tennessee State University at the Elma Roane Field House. 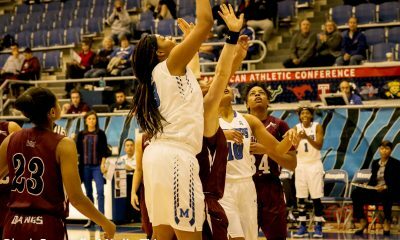 This was a game with multiple turnovers on each side that would keep fans on the edge of their seats until the final buzzer. 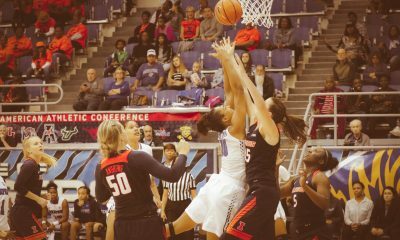 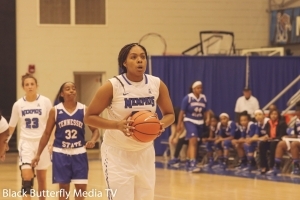 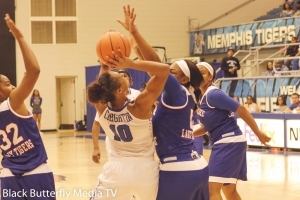 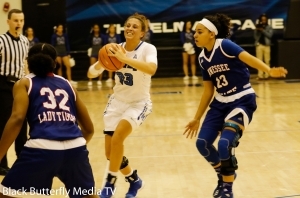 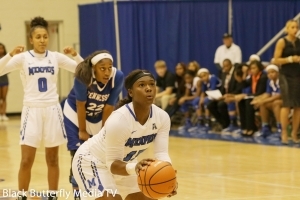 TSU Taylor Roberts guards Memphis Cheyenne Creighton in U of M vs. Tennessee State game. 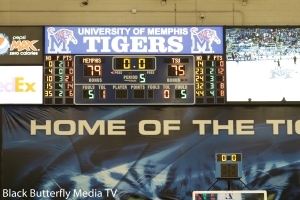 Memphis started the game strong. 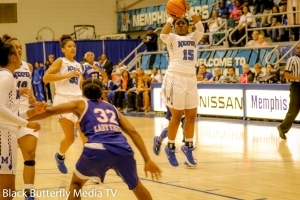 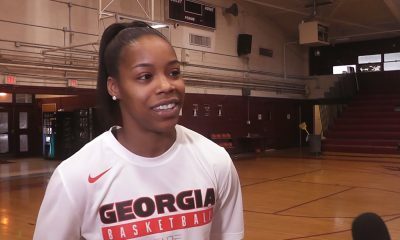 Scoring was kicked off with a 2 point shot made by Brea Elmore as the Memphis Lady Tigers took control of the game early. 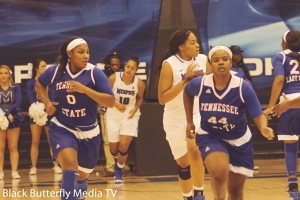 Tennessee State lady tigers soon gain control and pulled away and the first quarter ended with a score of 23-18, Tennessee State. 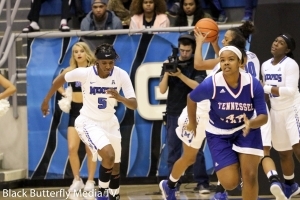 Tennessee State led by as much as 12 points in the 2nd quarter before U of M battled back leading by 6 points at the half of a score of 38 – 32. The highest scorers in the first half were Tennessee State Taylor Roberts with 13 points, followed by teammate Tia Wooten with 12 points and Memphis Cheyenne Creighton with 10 points. 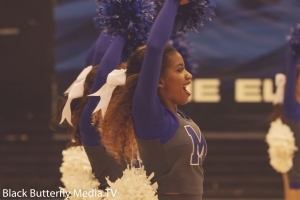 The 4th quarter was almost a near upset for Memphis. 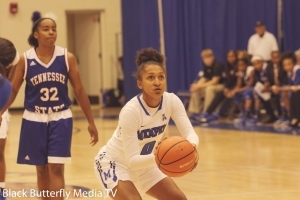 With the game tied at 70 – 70, Tennessee State makes a steal and shoots 2 for the baskets with 7 seconds left on the clock. 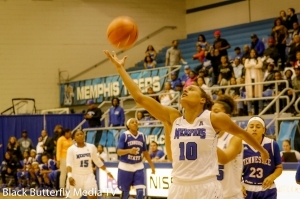 Memphis came back with Brea Elmore racing to the basket shooting 2 to tie the game and go into overtime. 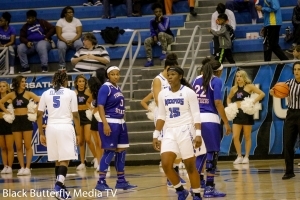 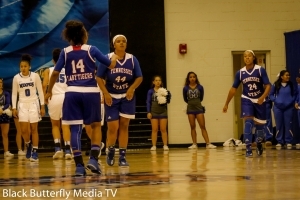 Memphis, Taylor Barnes at the free throw line as teammate Jada Stinson and Tennessee State, Tia Wooden looks on. 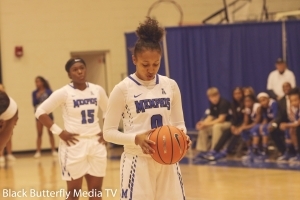 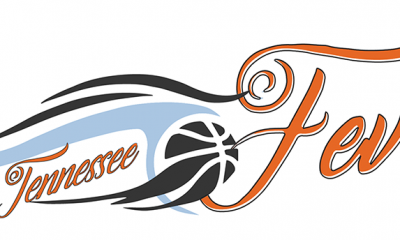 Both teams got into foul trouble during overtime with Memphis Brea Elmore fouling out with 2:09 minutes and Tennessee State Tia Wooten fouling out with 1:34 minutes left in the game. 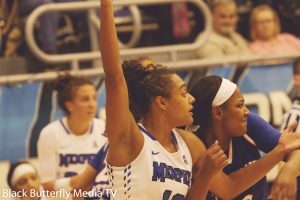 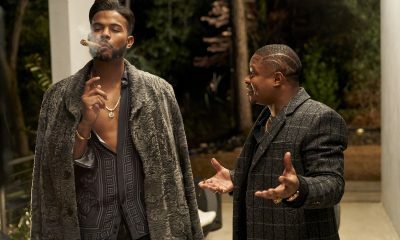 At the start of overtime, Tennessee State immediately took control of the game, but the Memphis Tigers found back hard and took the final lead in OT at 01:10 minutes left in the game. 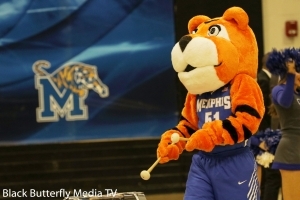 It gave Memphis a 79-75 win for the night. 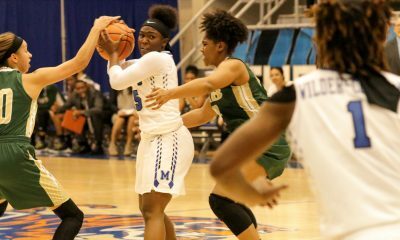 Cheyenne Creighton leads the Memphis lady tigers with a total of 21 points followed by Memphis guard Taylor Barnes with 14 points. 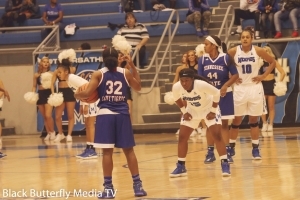 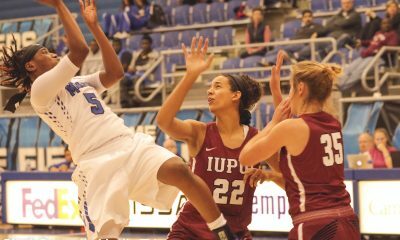 The overall scorer for the night was TSU guard and forward Tia Wooten with 33 points for the night. 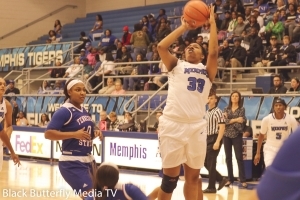 With Friday night’s win, the Memphis Lady Tigers stands at 1-0 for the season.